When summer finally hits Toronto, it means business. In the dead of the season, when the mercury soars to the 40s, the last thing you want is for your A/C to break down. If this appliance stops blowing cold air just as the heat and humidity warnings ping at your phone, don’t panic. It may just need some quick maintenance to get it back to working order — much of which you can do on your own. If your hand at DIY doesn’t do the trick, then there are always expert air conditioner repair technicians in Toronto who can take on major malfunctions. The top cooler repair experts in Toronto should be called if the solution to your A/C woes requires more complex repairs than you can manage on your own. Malfunctions due to a bad compressor, coolant leak, broken tubing, or other damaged parts should be left for the professionals. 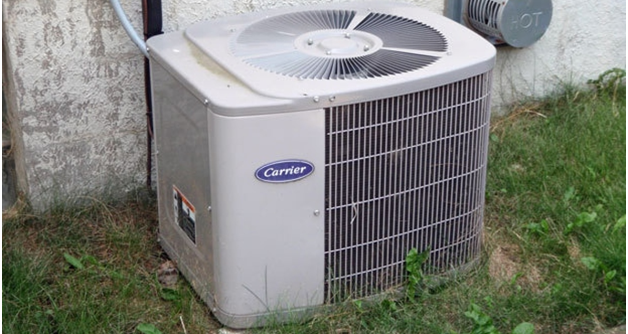 The air conditioner repair Toronto resident trust come with years of training and experience to evaluate each job. They’re also back by insurance and a kitted out toolbox so they can get the job done safely and efficiently. If you think your A/C is acting up due to dirty conditions, then it’s a good idea to troubleshoot on your own. Try out the following tips to see if you get the job done before you pick up the phone. Check the filter — It may seem simple, but the number one reason behind inefficient or faulty coolers is a dirty filter. In most modern units — which include both window mounted and central air systems —the filters are a permanent fixture of the machines. No need to replace them. Washing them with an appliance bristle brush once a month is all it could take to get your A/C working all season long. Clean the condenser fins —Outdoor units that make up part of central HVAC systems have small metal blades called fins surrounding the unit. Like the filter, these blades can get clogged with dirt and debris. Once again, an appliance bristle brush could do the trick, but you may want to vacuum the condenser fins. Just remember to turn off the power to your cooler before you do this. Check your breaker —If your HVAC A/C unit refuses to come on at all, that may mean the breaker has been tripped. Virtually every modern HVAC unit has its very own breaker switch that may be overlooked. Check the electric panel and if the breaker has tripped, push it back to complete the circuit. If the breaker continues to trip repeatedly, then a professional who deals with air conditioner repairs should be called in. Remember, anytime you feel out of your depth, pick up the phone. A reliable Toronto air conditioner repair technician can be at your door 24 hours a day, 7 days a week. They come with the experience, skills, and equipment need to solve any job.